Healthcraft product designed for small spaces. Grab bars fold down for use and fold up against the wall when not in use. 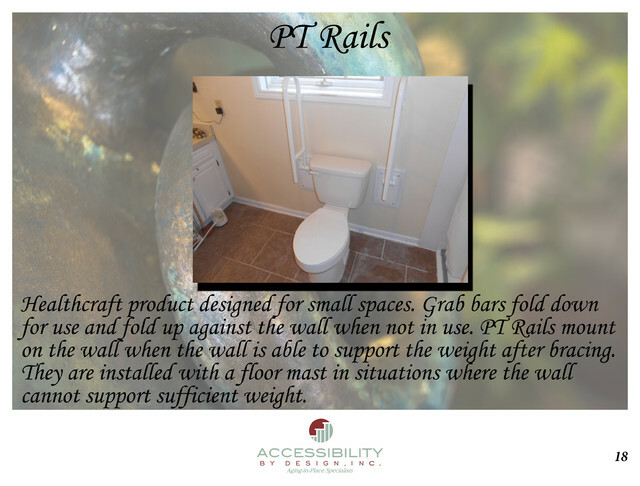 PT Rails mount the wall when the wall is able to support the weight after bracing. They are installed with a floor mast in situations where the wall cannot support sufficient weight.